One Planet is not a metaphor; it is a description. It is not a goal, but a recognition of our context. Given that we live on this one, finite planet, what are our best choices considering humanity is already demanding more than Earth’s ecosystems renew? While our planet is finite, human possibilities are not. Thriving lives for all within the means of this planet are achievable, as long as our species’ greatest strengths are applied: foresight, innovation, and care for each other. What are the options and what do they mean for developing our cities, powering them, feeding ourselves, and choosing our population size? The Ecological Footprint is an accounting tool that tracks how much is available to power our economies, and how much we currently demand. Dr. Wackernagel will show how to apply it to address these questions, and many more. He is also interested in finding out how this tool can support those who will run Spaceship Earth in 2050, and help them produce the future they want. These "captains" are already among us: hose aged 13-33 now will be 45-65 years old then. Check out www.footprintnetwork.org. Mathis Wackernagel is co-creator of the Ecological Footprint and CEO of Global Footprint Network, an international sustainability think-tank with main offices in Oakland, California (also legally established in Switzerland). This international think-tank focuses on bringing about a sustainable human economy in which all thrive within the means of our one planet. 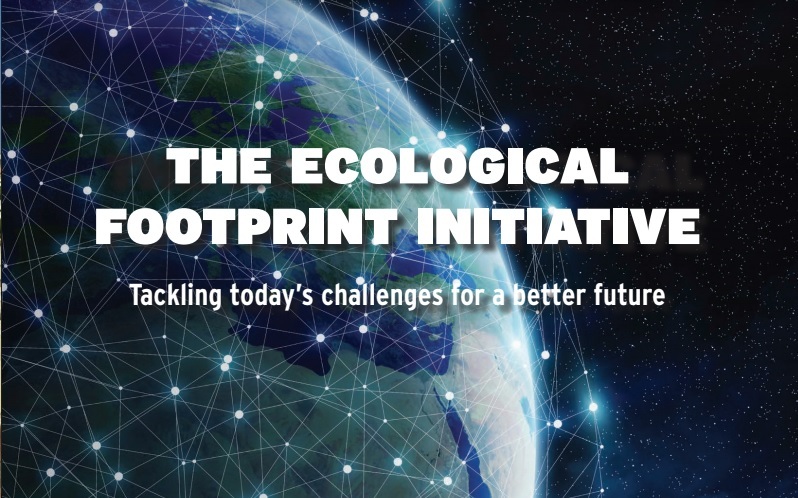 It proposes the Ecological Footprint, which measures how much nature we use and how much nature we have, as a tool for bringing ecological limits to the center of decisionmaking everywhere. In 2012, 2013 and 2015, Global Footprint Network was named one of the World’s 100 Top NGOs by The Global Journal. Dr. Wackernagel has worked on sustainability with governments, corporations and international NGOs on six continents and has lectured at more than a hundred universities. He previously served as the director of the Sustainability Program at Redefining Progress in Oakland, California, and ran the Centro de Estudios para la Sustentabilidad at Anáhuac University in Xalapa, Mexico. Dr. Wackernagel has authored or contributed to mroe than 90 peer-reviewed papers, numerous articles, and reports and various books on sustainability that focus on the question of embracing limits and developing metrics for sustainability, including Our Ecological Footprint: Reducing Human Impact on the Earth; Sharing Nature’s Interest; Footprint: Die Welt neu vermessen, and WWF International’s Living Planet Reports.